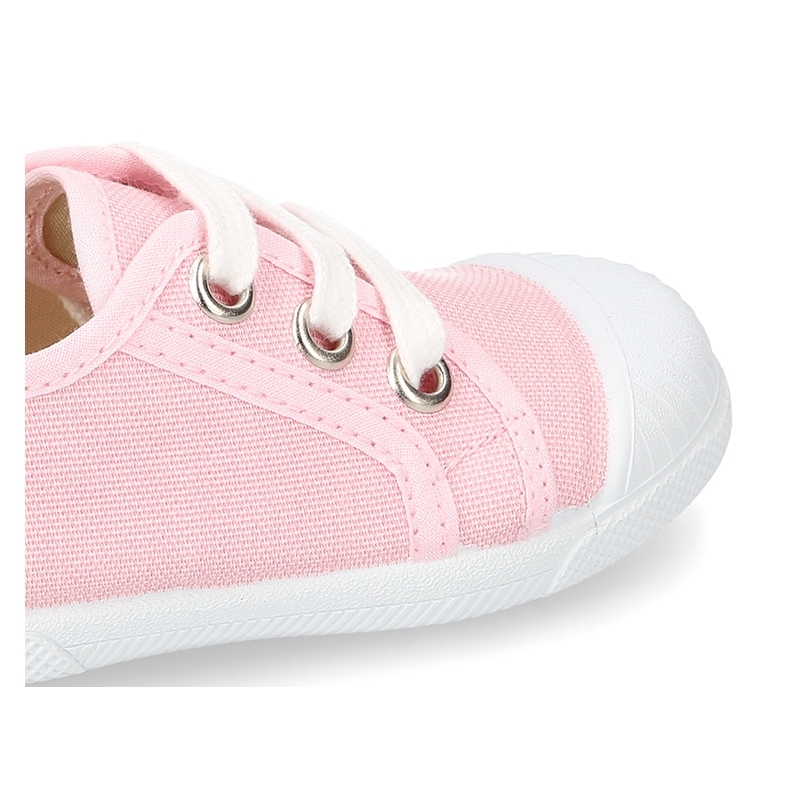 Okaaspain, tienda online de zapatillas de lona suave para vestir con cordones y puntera para niñas y niños. 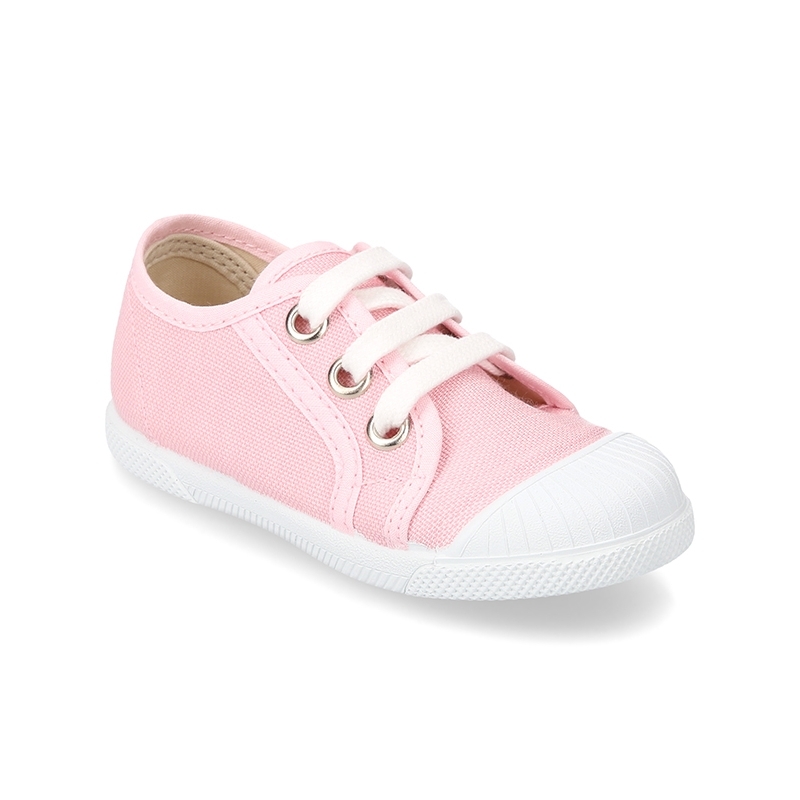 > First Steps>Sneakers>Soft cotton canvas tennis shoes with toe cap. 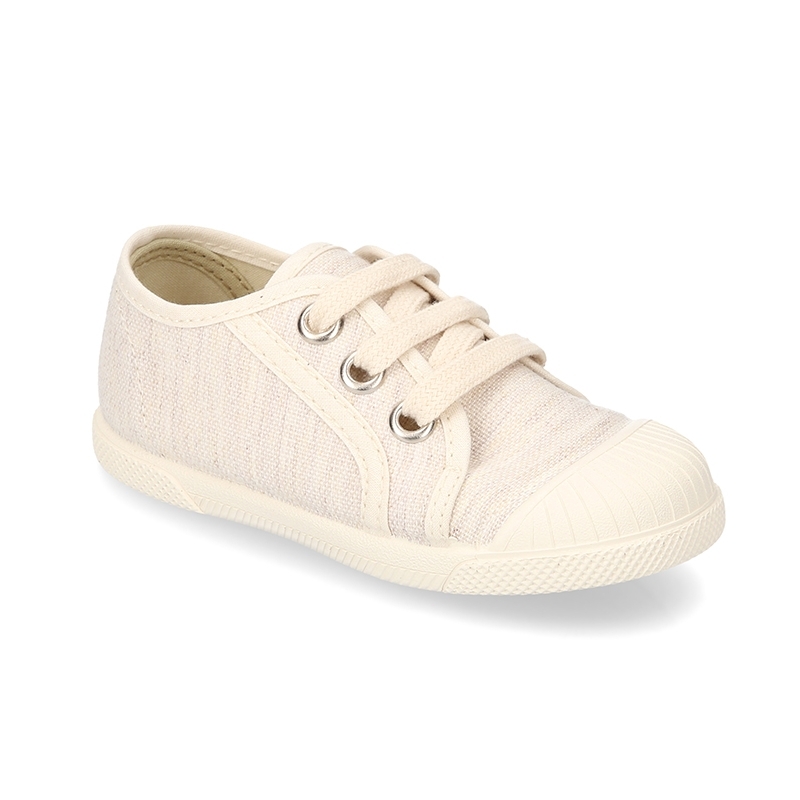 Soft cotton canvas tennis shoes with toe cap. 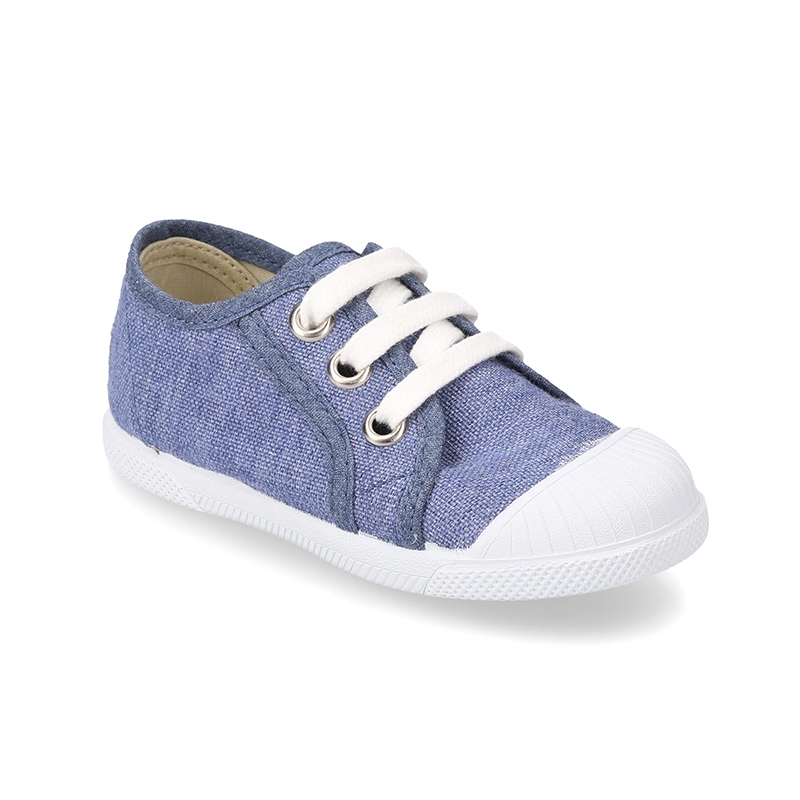 Soft Cotton canvas sneaker or bamba type shoes with toe cap and shoelaces for kids. 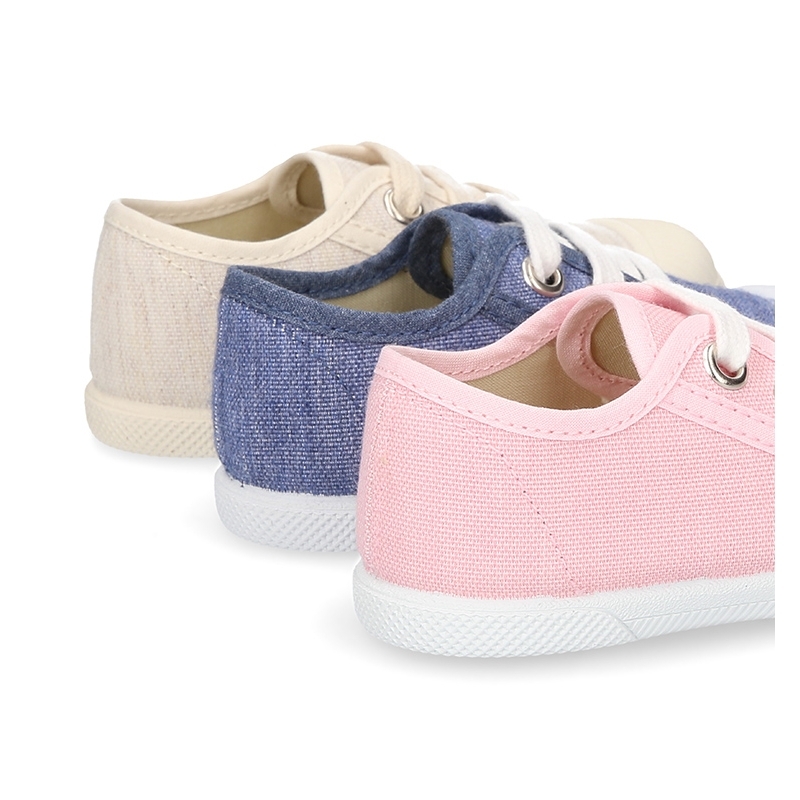 More info about Soft cotton canvas tennis shoes with toe cap. 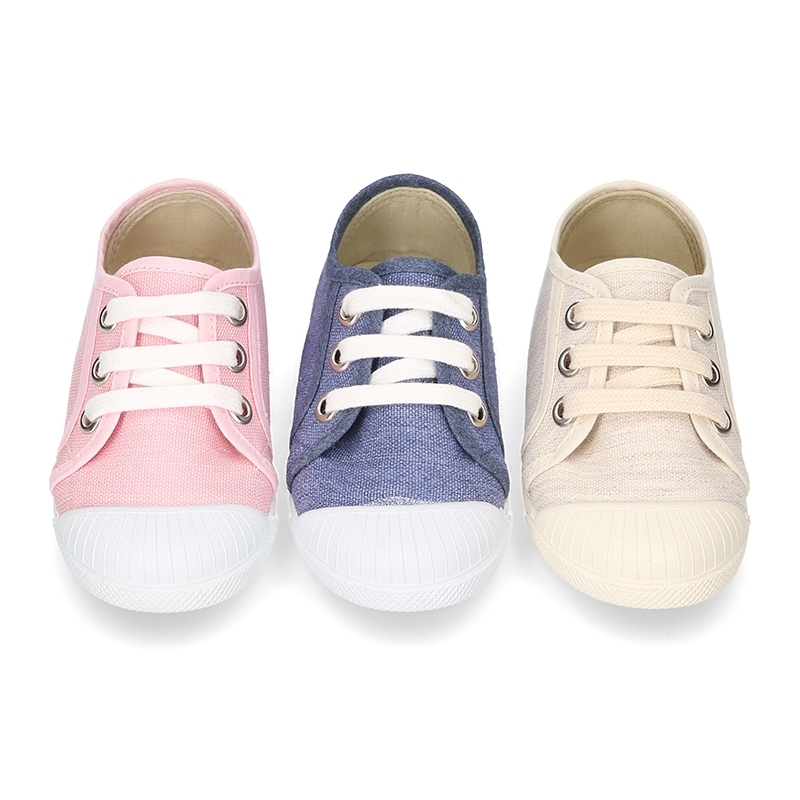 Soft Cotton Canvas sneaker or bamba type shoes with shoelaces and toe cap for kids. 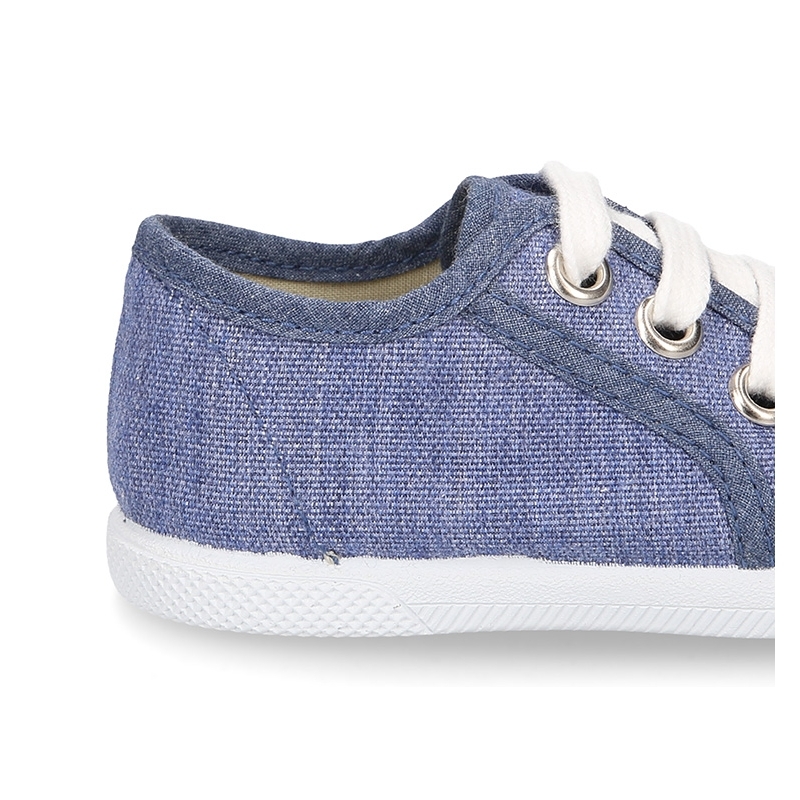 Made up of 100% natural soft cotton canvas to dress with high quality finishes. Perfect for every kind of use this season. Very comfortable and practical for this spring summer. Made up using a new updated design making a new and different model. ItÂ´s a updated model of the classic one. With rubber toe cap for a better durability. 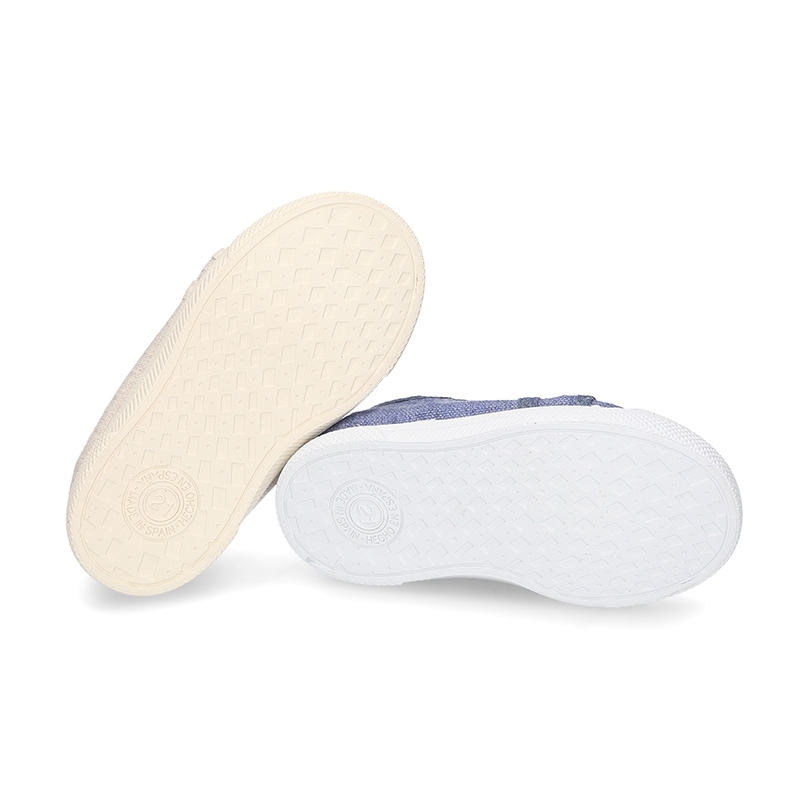 Fully lined, edged and padded canvas footbed in cotton fabric as well for a good perspiration of their feet. 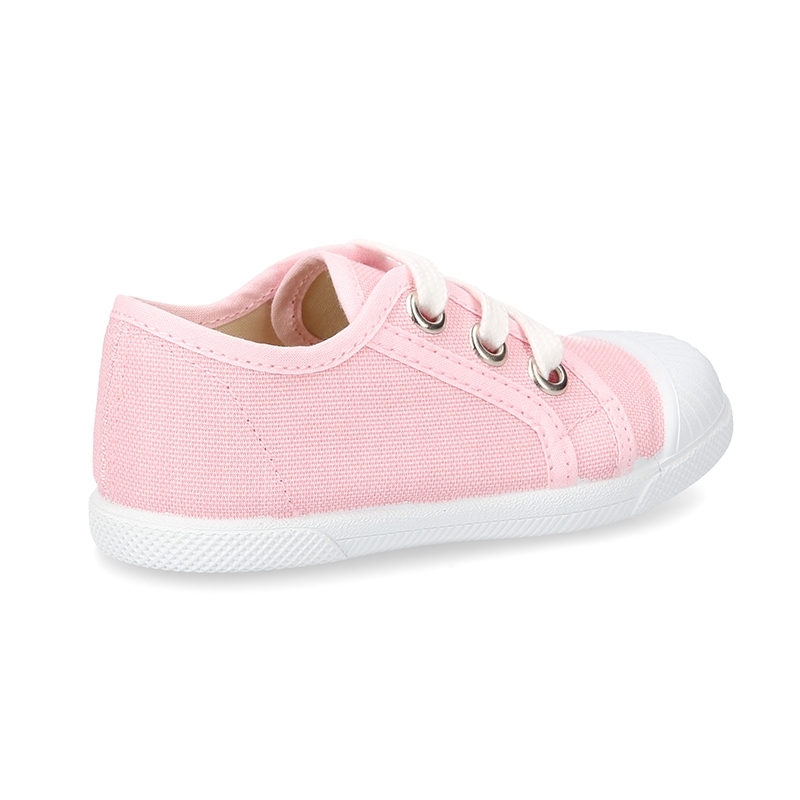 Outsole made up of non-slip high quality rubber and totally flexible in order they can learn to walk or play without problems. Available in 4 colors. 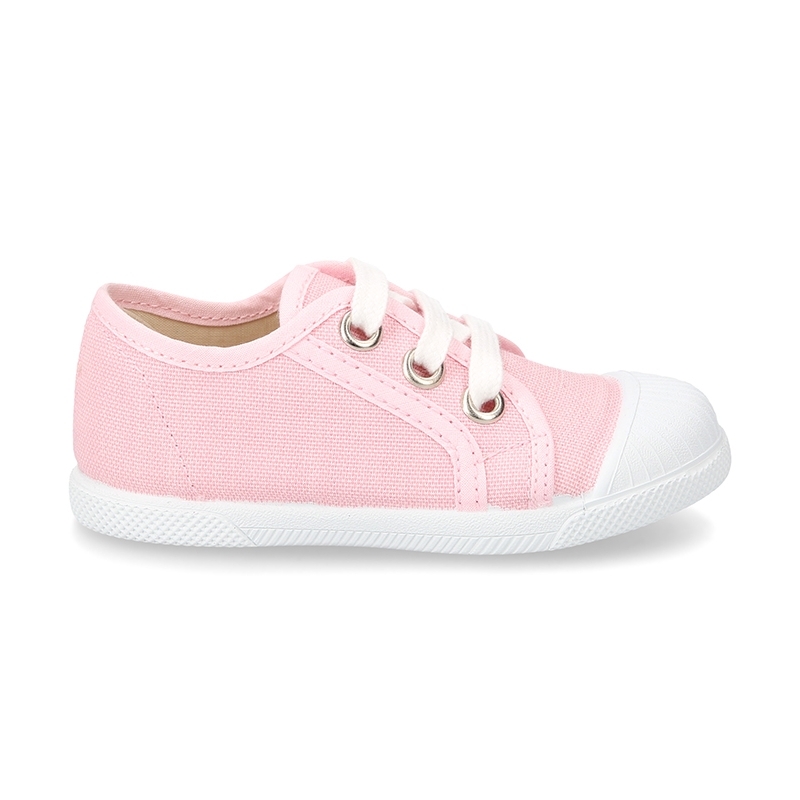 Range of sizes: from 18 Euro size up to 36 Euro size. SIZING REGULAR. For thin feet we recommend to choose a smaller size of the regualr one. 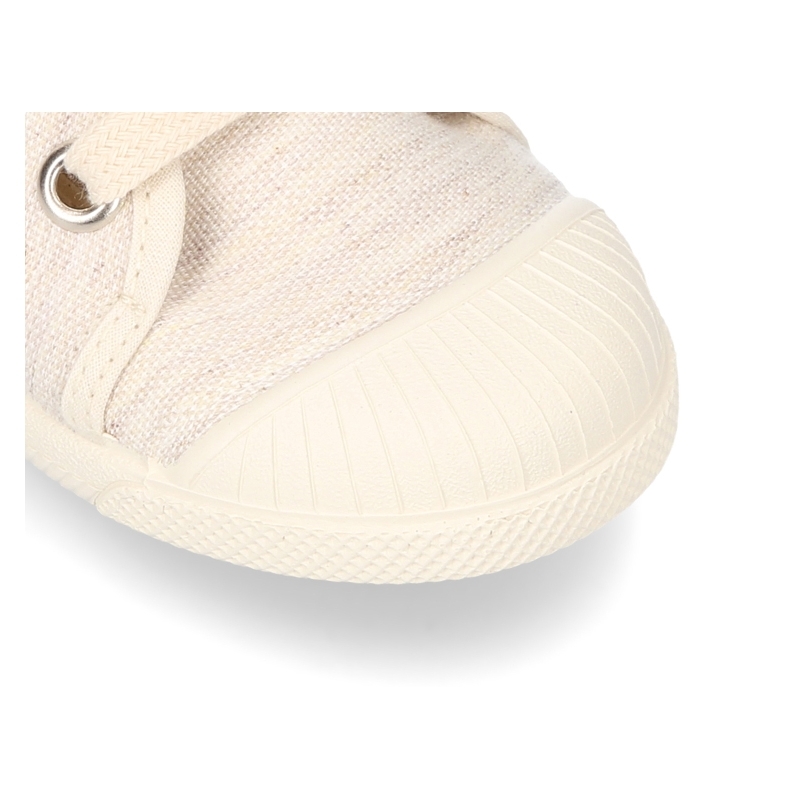 Data sheet about Soft cotton canvas tennis shoes with toe cap.